Darrell R. Fry, Assistant Professor of Chemistry, received his undergraduate degree in chemistry from Stephen F. Austin (SFA) State University in 1995. He then earned his Ph.D. in Analytical Chemistry from The University of Arkansas in Fayetteville, Arkansas where he specialized in optical fiber sensors in 2001. In 2001, Dr. Fry ventured to a post as a visiting assistant professor at Mississippi State University. In 2002, he Natchitoches, Louisiana where he as an assistant professor of chemistry at Northwestern State University (NSU). While there Dr. Fry broadened his research experience by collaborating with an experimental physicist and a molecular biologist to study the African trypanasome in a multidisciplinary fashion. In 2011, Dr. fry was happy to return to his alma mater Stephen F. Austin as an assistant professor of chemistry. Since then his research has again focused on sensors. Dr. A. Heidari, Ph.D., D.Sc. is a Postdoctoral Research Fellow in Chemistry. He has got his Ph.D. and D.Sc. degrees form California South University (CSU), Irvine, California, USA. Furthermore, he has double postdocs in Project Management and also in Nanochemistry and Molecular Structure Theory. His research interests are Biophysical Chemistry, Nanochemistry, Quantum Chemistry, Biomolecular and Vibrational Spectroscopy, Molecular Modeling and Structure, Theoretical, Computational and Mathematical Chemistry, Ab initio and Density Functional Methods. He has participated at more than fifty reputed international conferences, seminars, congresses, symposiums and forums around the world as yet. Also, he possesses many published articles in Science Citation Index (SCI)/International Scientific Index (ISI) Journals. It should be noted that he has visited many universities or scientific and academic research institutes in different countries such as United States, United Kingdom, Canada, Netherlands, Russia, France, Swiss, Germany, Sweden, Spain, Portugal, South Korea, China, etc. as research fellow, sabbatical and volunteer researcher or visitor heretofore. He has a history of several years of teaching for college students and various disciplines and trends in different universities. Moreover, he has been a senior advisor in various industry and factories. He is expert in many computer programs and programming languages. Hitherto, he has authored more than ten books in Chemistry. Syne, he has been awarded more than two hundreds reputed international awards, prizes, scholarships and honors. Heretofore, he has multiple editorial duties in many reputed international journals. Hitherward, he is a member of more than one hundred reputed international academic–scientific–research institutes around the world. Preeti Nigam Joshi is currently working as Inspire faculty at National Chemical Laboratory Pune from 2012. After completing her B.E, she received her Ph.D. in Biochemical Engineering from IIT BHU in 2011. Dr. Joshi has been doing impressive interdisciplinary work involving Biochemistry, Nanotechnology and Bio-medical Engineering to tackle problems in field of early cancer diagnosis and therapy. Her major work includes development of nanotheranostic systems for cancer therapy and imaging and designing of on chip biosensors for early detection of cancers. She has a strong inclination to pursue problems which are important in Indian context and has been actively working on 'Lab to Market' approach towards research and want to contribute to achieve the goal of affordable healthcare to all Indians. Dr Joshi has published several high quality research papers in journals of high repute and few patents are also in progress. Ahmed Barhoum has received his BSc and MSc degree from Helwan University (HU) and Central metallurgical and research institute (CMRDI). In 2007, Barhoum has been appointed as assistant lecturer at Chemistry Department, Helwan University (HU). In 2012, Barhoum moved to Grenoble Institute of Technology to work on synthesis of nanostructured pigments for high performance coating. Then, he moved to Department of Materials and Chemistry, Vrije Universiteit Brussel (VUB) to work on synthesis of nanostructured materials for high performance coating, multifunctional fabrics, and molecularly imprinted polymer. In 2015, he joined the Institute of Technical Chemistry at Leibniz University Hannover to work on the fabrication of macroporous and nonporous nanostructured particles for hydrogen production and photocatalytic applications. Barhoum is the recipient of the FWO-Research Foundation Flanders Scholarship (2015), Medastar Erasmus Mundus Program Scholarship (2012), Welcome Erasmus Mundus Program Scholarship (2012), Campus France Scholarship (2012). Barhoum has been appointed as potential reviewer of some journals including ACS Applied Materials & Interfaces, Crystal Growth & Design, Cellulose, and Journal of Magnetism and Magnetic Materials. He is the main Author of ten books in different chemistry disciplines. He Published more than 650 research papers in international Journals. Prof. Asiri is the Editor-in-Chief of King Abdulaziz University Journal of Science. A major achievement of Prof.
Asiri is the discovery of tribochromic compounds, a class of compounds which change from slightly or colorless to deep colored when subjected to small pressure or when grind. This discovery was introduced to the scientific community as a new terminology Published by IUPAC in 2000. This discovery was awarded a patent from European Patent office and from UK patent and some other patents office in Europe. Prof. Asiri involved in many committees at the KAU level and also on the national level, he took a major roll in the Advanced materials committee working for KACST to identify the National plan for science and technology in 2007. Prof. Asiri played a major role in advancing the chemistry education and research in KAU. He has been awarded the best Researchers from KAU for the past four years. He also awarded the Young Scientist award from the Saudi Chemical society in 2009, and also the first prize for the distinction in science from the Saudi chemical society in 2012. He also received a recognition certificate from the American Chemical society (Gulf region Chapter) for the advancement of chemical science in the Kingdome. Also he received a Scopus certificate for the most Publishing Scientist in Saudi Arabia in chemistry in 2008. He is also a member of the Editorial Board of Pigments and Resin Technology (UK), Organic Chemistry in Sight (New Zealand), Designed Monomers & Polymers and Journal of Single Molecule Research . He is the Vice- President of Saudi Chemical Society (Western Province Branch). Color chemistry, synthesis of novel photochromic, thermochromic systems, synthesis of novel coloring matters and dyeing of textiles, Materials Chemistry, Nanochemistry and nanotechnology Polymers and plastics. Dr. Samanthika Ruvinie Hettiarachchi graduated from the University of Ruhuna with the B.Sc Degree (Special in Chemistry) in 1996. After that, she completed her Ph.D in Inorganic Chemistry at the University of Maine USA under the supervision of Professor Howard H. Patterson in 2002. She joined the Open University of Sri Lanka as a senior lecturer in 2003 and serve as the Faculty Coordinator of the Faculty of Natural Sciences at Matara Regional Centre. In 2012 she was able to join Professor Bill Maher’s research group at University of Canberra, Australia during her six months sabbatical leave. She gained lot of experiences with ICP-MS and worked on the project about selenium levels of different fish samples. In 2013 she was awarded Endeavour fellowship and joined back to Professor Bill Maher’s research group to carry out a research project about arsenic levels in Mangrove Estuarine sediments in south eastern cost of NSW, Australia. During my academic carrier, she was able to publish five full papers in well recognized international journals including Inorganic Chemistry and five abstracts with many oral and postal presentations in international conferences. Dr Vrushali H. Jadhav has received his Ph.D in Chemistry from Department of chemistry, , University of Pune, India during the period of 2002-2004. Currently, she is scientist at Department of Organic Chemistry, National Chemical Laboratory, Pune, India. She is specialist in Organic Chemistry . 1. INSPIRE Faculty Awardee from the Department of Science and Technology, Delhi. 2. FAST Track Award for Young Scientist by Department of Science and Technology. 3. Have been awarded a research grant of Rs 35 lakhs from DST under the INSPIRE Faculty Scheme. 4. Have been granted a research funding of Twenty one lakhs under the FAST Track Scheme for young scientist. 5. Post Doctoral Research Fellowship at Department of Chemistry, University of Copenhagen, Denmark (Nov 2009 to Nov 2011). 6. Qualified CSIR-UGC National Eligibility Test (NET) and was awarded the Junior Research Fellowship for Ph.D.
7. Qualified State Eligibility Test (SET) in Universities and Colleges, for eligibility of the lecturership. 8. Topper in the Department of Chemistry, University of Pune with Outstanding grade during M.Sc 2004. 9. Best Project Presentation award during M.Sc. 2004 in Organic Chemistry instituted by PUCHEM-92. Currently leading a small research group at NCL, Pune and working in the field of carbohydrate chemistry, synthesis, synthetic methodologies and biofuels. •	Three publications as a corresponding author. A Post doctoral fellow in the group of Prof. Mikael Bols, Head, Department of Chemistry, University of Copenhagen, Copenhagen, Denmark from Nov 2009 to Nov 2011. Modified Cellulose was synthesized and kinetics of its hydrolysis was studied and further utilized in the synthesis of biofuels. Variety of oligosaccharide was synthesized using glycosylation reactions as key steps. C-1 alkylated iminosugars and fluoroiminosugars were synthesized and studied for their pKa and biological activity. One paper out of this work and one more is expected soon. CSIR- UGC Research Fellow for Ph.D: Five years of doctoral research training in Synthetic Carbohydrate Chemistry under the guidance of Prof. Dilip D. Dhavale, Department of Chemistry, University of Pune (Nov 2004 to Nov 2009). Synthesis of variety of polyhydroxylated five, six and seven membered iminosugars and studies of their biological activity. Seven Publications from this research work. Presented several research papers and taught some topics to the M.Sc students in the Department. Extensive use of advanced techniques like NMR, Ion exchange chromatography, HPLC etc. M.Sc Project: 1. Summer project carried out at the National Chemical Laboratory in March-June 2003 under the supervision of Dr. Ganesh Pandey entitled “Convergent Approach toward the Synthesis of the Stereoisomers of C-6 Homologues of 1-Deoxynojirimycin and Their Analogues: Evaluation as Specific Glycosidase Inhibitors”. 2. M.Sc. project carried out at the National Chemical Laboratory from Jan-May 2004 under the supervision of Dr. N P. Argade entitled “A Facile Synthesis and Enzymatic Resolution of Naturally Occurring Remotely Functionalized Alkyl Methyl Maleic Anhydrides from Aspergillus Wentii: Aspergillus acids A-D ”. Introduction to the field of synthesis of natural products. Learnt techniques of column chromatography, crystallization, distillation, handling of various chemicals. Characterization of the analytical data. Maintaining laboratory journals and writing reports. Application of carbohydrates in developing alternative fuels. Synthesis of value added chemicals from biomass. Synthesis of bioactive natural products. Development of valuable synthetic methodologies. Ali Gharib was born in 1974, in Mashhad, IRAN. He gained his B.Sc. in pure chemistry and M.Sc. from Islamic Azad University and graduated with a first class honour degree in Ph.D in Organic chemistry, too. His research interests include of the synthesis of Organic chemistry and Heterocyclic compounds by Heteropolyacids (HPAs) catalysts. Dr Kashi Reddy working as Postdoctoral Research Associate at Department of Chemistry and Biochemistry University of Wisconsin-Milwaukee, WI, USA. He has done Ph.D from Organic & Medicinal Chemistry, CSIR-Indian Institute of Chemical Technology, Hyderabad. Kakatiya University, Warangal, India under the guidance of Dr. Ahmed Kamal. The topic of his Thesis was “Synthesis and biological evaluation of new pyrrolobenzodiazepines, benzimidazoles and rutaecarpine derivatives as potential anticancer agents” The work is summarized as below: a. Synthesized more than 100 novel gene-targeting based pyrrolobenzodiazepine (PBD) hybrids with a view to improve anticancer activity. These newly synthesized PBD hybrids have been evaluated for their biological activity, DNA binding affinity. The most potent compounds were taken up for detailed studies and their apoptosis inducing ability were also investigated. b. Synthesized a library of novel terphenyl benzimidazoles, imidazopyridine-oxindoles, aminostilbene, chalcones, pyrimidine sulphonamides to explore their antitumour potential, inhibition of tubulin polymerization, and apoptosis inducing ability. c. Design and synthesized a series of novel oxadiazoles for their antitumor activity and inhibition of tubulin polymerization. d. Total synthesis of rutaecarpine and analogues by tandem azido reductive cyclization. He has authored- co/authored around 20+ papers, 7+ conferences proceedings, one patent and successfully contributed a charter “Pyrrolobenzodiazepines as Sequence Selective DNA Binding Agents” in Medicinal Chemistry and Drug Design Book. He has 2 years of teaching experience, received many awards and having reviewer and Editorial Board member role in many reputed journal. Organic & Medicinal Chemistry, Physical science, Biological Science, Synthesis of pharmacologically interesting small and complex molecule entities, organic synthesis, heterocyclic chemistry, total synthesis of natural products and Analytical Technique. Moinuddin Sarker a well know scientist and an eminent personality is presently working as a lead scientist at National State Research, USA. Ramaraju Bendi is serving at National Taiwan University of Science and Technology, Taipei, Taiwa. He is a Editor for Synergy publishers. He has authores more than 25 paper. Mr. Brajesh Shankar started his independent teaching & research career at Sardar Bhagwan Singh PG Institute of Biomedical Sciences & Research, Dehradun. Prior to joining the SBSPGI, Mr. Shankar was completed his Master degree in Pharmaceutical Chemistry from Dibrugarh University. 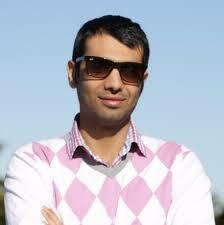 He qualified Graduate Pharmacy aptitude test (GPAT) and secure AICTE scholarship during his master degree. He acquired a total of about three years of research experiences in computer aided drug design & synthetic chemistry. Mr. Shankar has versatile research experiences including Molecular docking, QSAR , Structural assessment of protein, target-driven methodology development in organic synthesis and medicinal chemistry research directed to structure-based drug discovery. He is author or co-author of twelve papers published in peer-reviewed international journals to his credit. Nilwala Kottegoda is a senior lecturer in Chemistry attached to University of Sri Jayewardenepura, Sri Lanka and a senior research scientist at the Sri Lanka Institute of Nanotechnology. She graduated with a first class in Special Degree in Chemistry from University of Peradeniya, Sri Lanka and obtained her D.Phil. in Materials Chemistry from the University of Cambridge, UK. Her current research work spans over a wide spectrum of areas; nanotechnology applications in agriculture, nanomaterials for drug delivery applications, nanomaterials for water purification, rubber nanocomposites, and synthesis of nanomaterials from natural/mineral resources. She is an inventor of four US patents extending to 16 countries and she has number of publications in peer reviewed journals. She was awarded the “Best Innovation with Commercial Potential” award from the National Science Foundation, in 2011 and the “Third World Academy of Science Young Scientist award for Sri Lanka” in 2013 for her outstanding research work in the field of nanotechnology. Nanomaterial synthesis and characterization Development of nano-delivery systems for nutraceuticals and plant nutrients Polymer nanocomposites Water purification based on nanotechnology Value addition to natural resources "
Devdutt Chaturvedi obtained his Ph. D. degree in Medicinal Chemistry, from the Medicinal Chemistry Division of the Central Drug Research Institute (CSIR), Lucknow, India. Thereafter, He worked as a Postdoctoral Fellow (2003-2005) at the University of Georgia, USA. Later on, he has also worked as a Postdoctoral Fellow (2005-2006) at the Institute of Organic Chemistry, University of Goettingen, Germany. He returned to India and worked shortly as a Senior Postdoctoral Fellow (2006-2007) at the Department of Chemistry, Indian Institute of Technology (I. I. T.), Madras and as a Scientist (2007-2011) at the Bioorganic Chemistry Division, Indian Institute of Integrative Medicine (CSIR), Jammu and Natural Products Chemistry Division, North- East Institute of Science and Technology (CSIR), Jorhat-785006, Assam. He has worked on several areas of organic synthesis and medicinal chemistry such as design and synthesis of novel classes of antidiabetic, antifertility, antitubercular, anti-inflammatory, hypolipedemic, anti-HIV/HBV, anti-cancer, antimalarial, antimicrobial, anti-alzheimer agents wherein he has investigated various kinds of structurally diverse synthetic/natural molecules such as steroids, terpenoids, nucleosides, structurally diverse heterocycles, carbamates and related compounds. He has published more than 70 research papers (containing more than 700 citations, with h-index = 20) in reputed international journals and filed 11 patents. He is the reviewer of several leading international journals of different publishers such as American Chemical Society (ACS), Royal Society of Chemistry (RSC), Science Direct Journals, Theime journals, Japanese journals, Wiley Interscience journals, Bentham Science journals, Taylor & Francis journals, Hindawi Publishers journals, etc. His work has further been recognized from the various kinds of awards such as Most Cited Paper Award (2006-2009) for one of his Tetrahedron Letters publication, Young Scientist Award (2008-2009) from the Govt. of Uttar Pradesh, Highest Impact Factor Award (2009-2010) for publishing a review article in Chemical Society Reviews ( I. F. = 28.76) from the North-East Institute of Science and Technology (CSIR), Jorhat, Assam, India and DST-Fast Track Young Scientist Award (2010) from the Govt. of India. Recently, He has also worked as a Guest Editor, for publishing a hot topic issue entitled “ Organic synthesis using green reaction media” for a leading international journal “Current Organic Synthesis” ( I. F. = 3.95) published by Bentham Science Publishers, Ltd. He has also been invited to become a member of editorial board of several international journals. He is presently working as a Research Professor, at the Laboratory of Medicinal Chemistry, Amity Institute of Pharmacy, Amity University Uttar Pradesh, Lucknow Campus, Lucknow, U. P., India, on the design and synthesis of novel class of bioactive natural/semisynthetic/synthetic molecules for the treatment of various diseases employing novel synthetic methodologies and has been associated with the chemistry and biology of organic carbamates since more than a decade. Organic synthesis, Medicinal chemistry such as design and synthesis of novel classes ofAntidiabetic, Antifertility, Antitubercular, Anti-inflammatory, Hypolipedemic, Anti-HIV/HBV, Anti-cancer, Antimalarial, Antimicrobial, Anti-alzheimer agents. Hasan Ahmad has received his Ph.D in Engineering in Material Sciences, Department of Chemical Science and Engineering, Kobe University, Japan during the period of 1997. Currently, he is working as Professor at Department of Chemistry, Rajshahi University, Bangladesh. He is specialist in Material Sciences/Polymer Chemistry . 1. Research Student, Department of Chemical Science and Engineering, Kobe University, Japan. 2. PhD Student, Department of Chemical Science and Engineering, Kobe University, Japan. 3. Visiting Lecturer, Venture Business Laboratory, Kobe University, Japan. 4. AvH (Alexander von Humboldt) Postdoctoral Fellowship, Max Planck Institute of Colloid and Interfaces, Germany. 6. of Science and Technology, South Korea. 7. Visiting Researcher, Department of Chemical Science and Engineering, Kobe University, Japan. 8. Visiting Research Fellow, Department of Chemistry, Sheffield University, UK. He has authored around 70+ papers, 30+ conference proceedings and reviewed around 50 research articles. Students Supervised: About 6 Undergraduate, 23 M.Sc., 2 Ph.D and 1 M.Phil students had already finished their Degrees. 2 Ph.D and 4 M.Sc. students are currently doing researches in his group. Research interest: Polymer colloid chemistry: Radical polymerization, Controlled radical polymerization, Functional polymer particles, Morphology, Conducting polymer, Inorganic/organic composite microspheres. Nirup Bikash Mondal has received his Ph.D in Synthetic Organic Chemistry during the period of 1989. Currently, he is working as Emeritus Scientist in Indian Institute of Chemical Biology University. He is also serving as reviewer for several reputed journals like 1) European Journal of medicinal Chemistry 2) Medicinal Chemistry Research 3) Tetrahedron Letters 4) Current Organic Chemistry 5) Synthesis 6) Journal of Medicinal Plant Research 7) Mini Reviews in Medicinal Chemistry 8) Journal of Industrial and Engineering Chemistry 9) RSC Advances. He has authored 89 research articles and having 1 patent, 15 students have successfully persued Ph.D under his guidance. Research specialization (Major scientific fields of interest): a) Synthesis of novel heterocyclic molecules via the application of Green Chemistry. b) Isolation and characterization of bio-active molecules from Indian Medicinal plants. c) Chemical transformation of bioactive natural products for enhanced efficacy (Semi synthesis and bioevaluation). Synthesis of novel heterocyclic molecules via the application of Green Chemistry. Isolation and characterization of bio-active molecules from Indian Medicinal plants. Chemical transformation of bioactive natural products for enhanced efficacy (Semi synthesis and bioevaluation). Bidyut Saha, Associate Professor in Chemistry, Department of Chemistry, The University of Burdwan, WB, India was born in 11th July 1975 in a small village of district Birbhum, WB, India. He did his graduation and master degree in chemistry from a central university Visva Bharat founded by noble laureate R. N. Tagore. Dr. Saha did his Ph.D on electron transfer reaction under the supervision of Prof. Asim K. Das of Visva Bharati. He joined Burdwan University as an assistant professor in chemistry in 2005 and in 2014 he became an associate professor. BOYSCAST fellowship award was given to him for the year 2008-2009, for conducting advanced research at UBC, Vancouver, Canada with Prof. Chris Orvig. He already supervised 04 students for Ph.D degree & 10 students are working for Ph.D. Synthetic application of micellar catalysis, Bioremediation of toxic metals, Inorganic reaction mechanism, Bioinorganic chemistry. Subba Rao completed his Ph.D from Manchester; he served as Professor at Indian Institute of Science, bangalore, India. With 40 years of teaching postgraduate students; 26 Ph.D's and 30 post-doctoral fellows were trained in his laboratory, published around 175 papers. Prof. Subba Rao has developed new strategies of synthesis of natural products using cyclohexadienes, readily available from the Birch reduction of aromatic substrates. This methodology has been extensively used for the total synthesis of several mold metabolites, which include the orsellinic acid derivatives, macrocyclic lactones, several naturally occuring sesquiterpenes with a tricycle (6.2.1.01.5) undecane and the tricycle (5.2.2.01,.5) undecane skeleton. Developed synthesis of steroid hormones, prostaglandin derivatives by using this methodology; total synthesis of diterpenes, complex xanthones and spiro(4.5) decanes. Suggested a new mechanism involving the formation and protonation of anion radicals to explain anomalous behaviour during the Birch reduction of styrenoids. Elucidated the structures of several natural products. These include diterpenes, triterpenes, alkaloids and steroid sapogenins. Investigated the application of organometallic reagents in the homogenous hydrogenation, oxidation, isomerization and related processes. Also developed methods for the production of various drugs and drug intermediates including oral contraceptives for the Indian pharmaceutical industry. Overseas Visits:Traveled extensively in USA, UK, USSR, France, Australia, Japan, Switzerland, Germany, Italy, China, Italy, Taiwan, Korea, Canada and Pakistan for Professional, Academic and Consultancy work. Other Activities: Served on many Scientific Committees of the Central and State Governments. (CSIR, UGC, DST, ICMR, ICAR) & Selection Committees for Faculty Recruitment in the Universities, IIT’s and other Academic Institutions. Organic Synthesis, Natural Product Chemistry, Reaction Mechanisms, Organometallic Chemistry, Combinatorial Chemistry. 12 years of educational and research experience in pharmaceutical analytical research and development and co-authored 7 published, research publications and 3 submitted peer reviewed high impact research publications. Research in the field of corrosion and passivation of advanced metallic materials in various media Vast experience of generic pharmaceutical industry (ANDA-Abbreviated New Drug Application) to develop affordable and bioequivalent generic drugs. Experience on HPLC, UPLC, GC, GPC, GC-MS, Dissolution Apparatus (USP I, II, III, IV, VII), XRD, TPW, Rheometer and Malvern Mastersizeres. Proficiency in Analytical Method Development and Validation of pharmaceutical and bio-pharmaceutical products (ANDA and NCE), parenteral (Injection, powder for Injection, suspension for injection), solid oral-Rx and OTC (tablet, capsule, soft gel capsule, birth control pill), ophthalmic (solution, suspension), topical (gels) and liquid orals (syrup, powder for suspension) formulation projects. Experienced in Bio-relevant dissolution testing method development and “in vitro-in vivo correlation” (IVIVC) for immediate and controlled release products Strong analytical, problem solving and interpersonal skills with solid work ethics. Dr. Khushbu Shah has a B. Pharam degree from Maharaja Sayajirao University (Gujarat). Following her B. Pharm, she obtained a Ph.D. in Medicinal Chemistry from the group of Dr. Aleem Gangjee at Duquesne University, Pittsburgh, PA. Her doctoral work included medicinal chemistry, organic synthesis and computational chemistry strategies for the development of inhibitors of purine synthesis, multiple receptor tyrosine kinases, tubulin polymerization, folate metabolism pathway, and inhibitors of opportunistic infections. Her organic chemistry training includes metal catalyzed chemistry, air- and moisture-sensitive techniques, combinatorial chemistry techniques such as Chemspeed for the synthesis of chiral and achiral small heterocyclic molecules as potential drug targets. She also has worked with traditional and contemporary techniques for drug design and analysis of structure-activity relationships and computational chemistry software like Schrodinger, Sybyl suite, MOE, LeadIt, Gold and Autodock. She was awarded scholarship for academic excellence for all four years of her undergraduate degree. She was also awarded the ACS-MEDI travel award in the fall of 2017. She has published her work in peer-reviewed journals and presented her work at several national and international conferences. Currently, she acts as a scientific advisor for Kramer Levin Naftalis Frankel LLP.